Dollar has been under pressure due to the developments of missiles from North Korea and the issue with allegations of Russian intervention in the US Presidential elections. 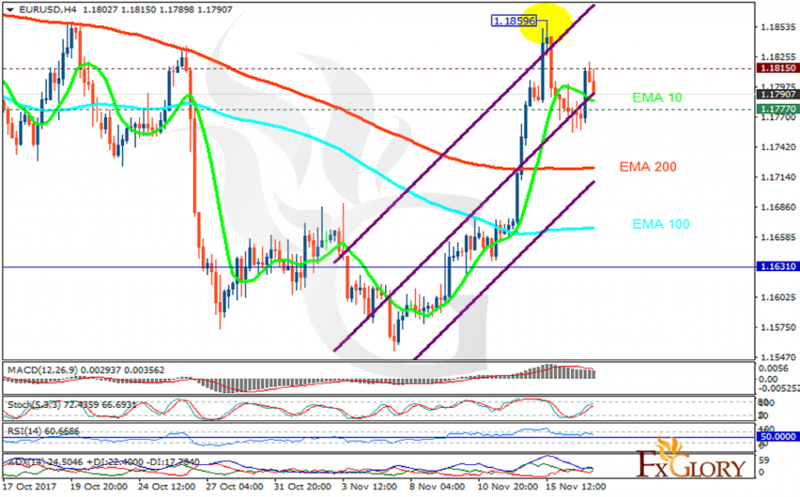 The support rests at 1.17770 with resistance at 1.18150 which both lines are above the weekly pivot point at 1.16310. The EMA of 10 is moving with bearish bias in the ascendant channel and it is above the EMA of 200 and the EMA of 100. The RSI is falling towards the 50 level, the Stochastic is showing upward momentum and the MACD indicator is in positive territory. The ADX is not showing any clear signals. The indicators are showing mixed signals, if the support are is broken, it will drop to 1.15 area otherwise it will grow to 1.20.